Buying or Selling a Classic Austin Healey? Austin Healey sports cars were manufactured from 1953 to 1972 when the 20-year agreement between Healey and Austin came to an end. During that time, the Austin-Healey Company had made a name for itself as one of the most prominent players in the British sports car and racing scene. During the early years, Austin Healey would release a line of “Big Healeys,” which would become widely popular not only in the European market, but in America as well. Looking to Purchase a Classic Austin Healey? View Our Current Cars! The sports car that would put Austin Healey on the map and the first of the Big Healeys, was the 100-4. Manufactured for only 3 ½ years, there were several distinct variations. The original car, built until 1955 was the BN1. The following year, it would gain a new 4-speed gearbox paired with the original overdrive, to become the BN2. Other popular variations during this time included a racing BN1 model (1954-1955) called the 100S. Only 50 were built and were intended primarily for competition. The Healey 100-4 would become widely popular, particularly in the American market where buyers found it to offer everything that its competitor – the MG – did not. As the old Austin Healey engine became obsolete, a new Austin Healey model would be designed to carry the new straight six, the Austin Healey 100-6. The redesign also included more cabin space by extending the wheelbase and repositioning some of the components to make room for new bucket seats in the rear. Useless for anything except a few bags, nevertheless, they met demands in the market. A new oval grille, fixed windscreen, and bulged hood with air intake marked some of the exterior changes. Offered as a 2+2, or BN4, and as a two-seater, or BN6, the 100-6 was often said to be overshadowed by the release of the Sprite. However, today the 100-6 is a very popular collector’s car among those who covet the exceptional styling and curvature that the Big Healeys offered. In 1959, engine capacity was increased from 2.6L to 2.9L and the car was renamed the Austin Healey 3000. Similar to the 100-4 and 100-6, two variants were offered: an open two-seater and a 2+2 variant. With production lasting for more than a decade, a number of different models were produced. From 1959 to 1961 the 3000 would be called a MK I; from 1961 to 1963, it was considered a MK II; and from 1964 to 1968, an MK III. 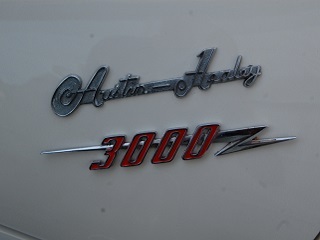 The Austin-Healey 3000 would be considered the third and final variation of the Big Healeys. If you’re thinking about purchasing a classic Austin Healey, there are a wide variety of classics out there – in a wide variety of conditions – to suit all your needs and classic car goals. The Beverly Hills Car Club encourages you to learn more about each model by browsing the Buyer’s Tips available to you throughout this website. Should you have any questions, their team is always just a phone call away. Connect today to get started! Click Below to Learn More About Classic Austin Healey Automobiles! We Also Buy Austin Healey’s In Any Condition, Top Dollar Paid!